HEROHONDA (1663) - As posted on 07th Arpil and as of now it topped out at 1700 expect down side target 1550. HCLTECH (485) - Topped out at 502 now downside target 470. GESHIP (284) - Posted on 04th April "above 275 upside target 295-300" as posted, Last friday it exactly attacked mentioned upside target 296 and from there it corrected to 282 also. now below 282 come down to 274-272. COREPROTEC (338) -Strong hurdle 352-356 but trade and stays above this hurdle shortly going to attack in upside 436 In downside support exists at 330-325. CENTURYTEX (372) - As posted on 06th april it topped out at 392 and from there, now it is moving down to the mentioned down target of 366-360 it going to happen today. that does not matter but if it not take support at 360, then down move continue to 341-336. BGRENERGY (531) - Strong Hurdle 550-556 and below 522-520 come down to 490 and afterwards 460-455. AREVAT&D (279) - Posted on 28th mar. "bottom out 211 and above 240 upside target 282-292" as expected it moved from 240 and Last friday it made a high 281 now timebeing going to top out between 282-292. But in case if it trade and stays above 292, upmove continue to 320-322. 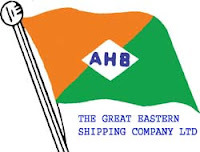 ABGSHIP (393) - Posted on 28th Mar. 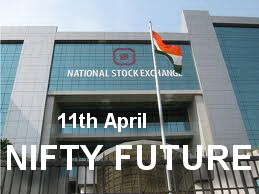 and again remind on 05th april "above 375-380 upside target 409-415. Last friday it attacked the mentioned target when it made a high of 409 and from there it corrected 391. now what next ? Below 490 once again come down to the support level of 380-375.